A large Norwegian army defeated the Bretons,nobles and Clergy fled to the court of Athelstan. 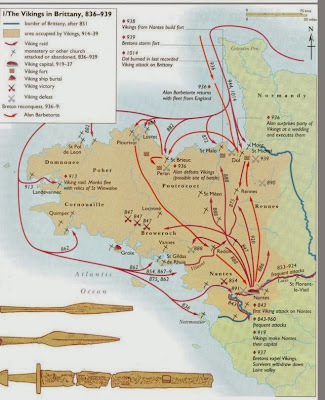 Villages were pillaged and a large part of the population were enslaved. 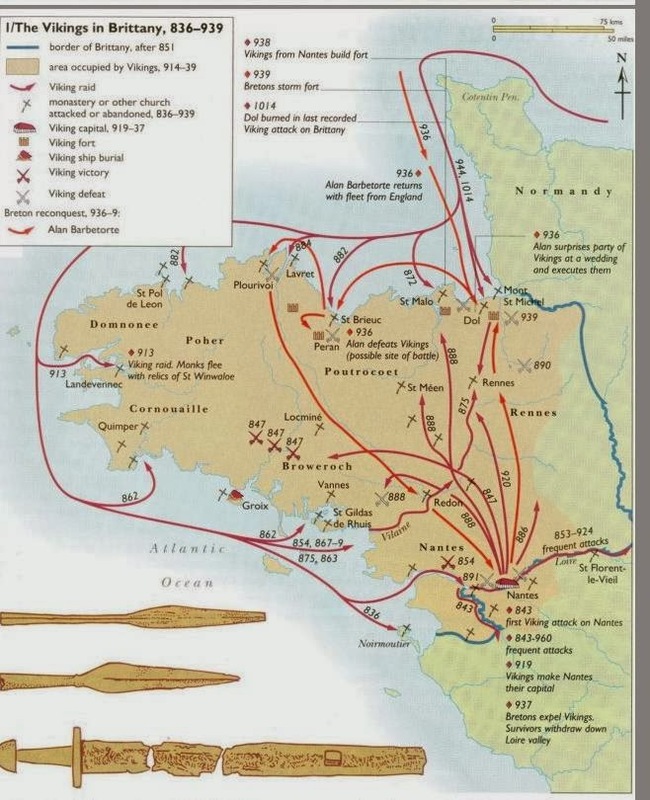 Vikings occupied and raided Brittany until 939. 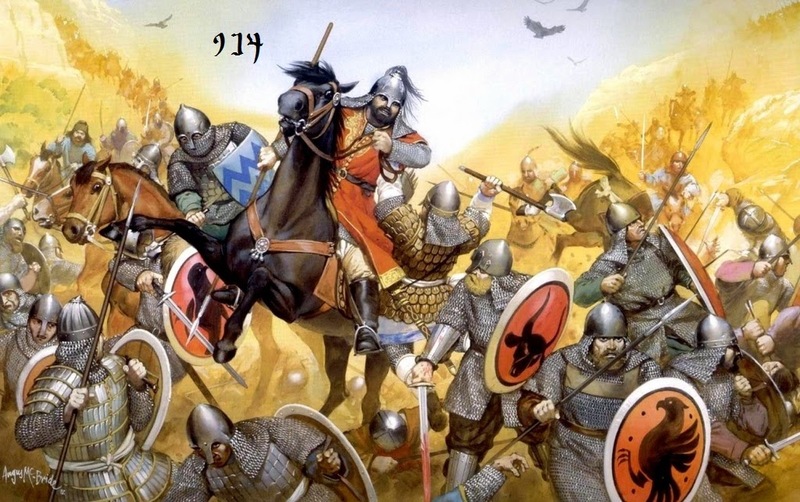 Hroald and Ohtar raided Wales from Brittany they were defeated by Anglo-saxons and Hroald was killed. A second viking age began. The descendants of Ivar returned and conquered parts of Ireland. Waterford, was founded near the River Suir. Ottir the black became the first ruler of Waterford. Between 914 and 922, 4 towns: Waterford, Cork, Dublin, Wexford and Limerick were founded.